, 16 GB of SO-DIMM 2666 MHz DDR4 RAM + 8 GB of soldered-in RAM, all slots occupied, 24 GB of RAM max. Компания Asus представила 17-дюймовую версию игрового GX531 сразу после анонса видеокарт Nvidia Turing. Несмотря на экстремально малую толщину, ROG Zephyrus S GX701 по мощности совершенно не уступает топовым моделям конкурентов. Давайте узнаем, получится ли у него их превзойти. The Zephyrus S GX701 is available at all authorized ROG Stores and resellers nationwide. It is priced at Php 139,995 for the RTX 2060 variant and Php 209,995 for the RTX 2080 Max-Q variant. ASUS is currently holding a promo for both models, where you get a bag, Gladius II mouse, and ROG jacket with every purchase. Those getting the RTX 2080 variant also get a gaming chair as well. Overall we are impressed by the Zephyrus GX701GX, however it is sufficiently different in its design that it doesn’t bear direct comparison with any other RTX laptop that springs to mind. The specification is very good and the performance is excellent, with just a few minor niggles holding it back. Only if all the benefits I listed above matter to you. At Rs 3,49,990, the ROG Zephyrus S GX701 pinches the wallet hard. For almost the same price, you can build a custom gaming desktop PC with even more compelling hardware. Also, since you can only use the full potential of the Nvidia RTX 2080 in just a single game, for now, it is advisable to go for the ROG laptops with Nvidia GTX cards at much cheaper prices that can play the current crop of games with similar performance. 100% Asus ROG Zephyrus S GX701 review: the king is dead, long live the king! 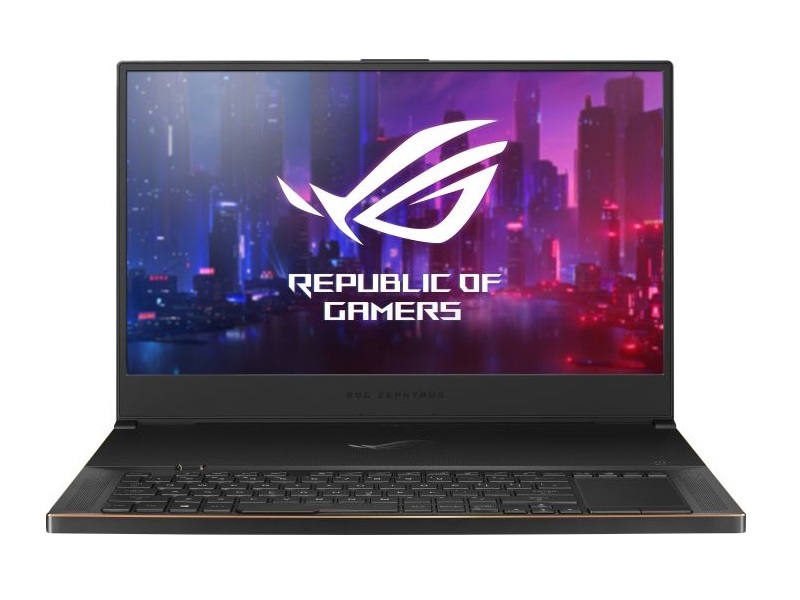 The Asus ROG Zephyrus S GX701 is a 17-inch laptop mostly meant for desk use, hooked up to a mouse, and potential buyers will primarily benefit from its smaller size and lighter weight when carrying it around. It's nicely crafted, it types well, it gets a good-quality screen, punchy speakers and offers solid performance once tweaked, while on the other hand the impractical ergonomics when not on a desk and the potential short battery life might raise some concerns. We get in-depth on all these aspects in the review below. All in all though this is a great piece of tech. It’s expensive, yes, but so are the other thin-and-light 17-inchers with similar specs, so the form-factor remains the GX701’s important antagonizing factor, making this impractical while not on a spacious desk, but as the same time more comfortable than other devices while on a desk and hooked up to an external mouse.